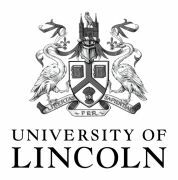 We train in the University Sports Centre at the Brayford Pool campus each Friday 7:00pm - 8:30pm (University of Lincoln students/ alumni only). Watch out for additional training or changes on our 'News' page. You don't need to be superfit or stretch like a rubber band to take up karate - of course you may achieve those levels after a while! - but just have a moderate level of fitness (good mobility and no serious medical conditions). Beginners only need a pair of shorts/tracksuit bottoms and a tee shirt. After a few lessons we expect you to buy a gi (suit) - we can help you with that. Additional equipment is available through the club at discounted high-street prices, with bigger discounts available to club members. If you want to do jiyu kumite (freestyle sparring), you should have a pair of mitts, a gumshield and a groin/chest guard - whether or not you do jiyu kumite will depend on your appetite and our agreement. 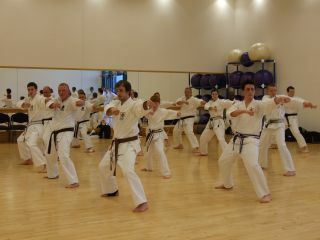 University Students, Staff and Alumni: �.00 per annum club membership, payable to the SU Sports & Societies, covers: one training session each week, JKA annual licence fee, University-branded sportswear and subsidised competition & travel costs. Additional training sessions are �00 each. 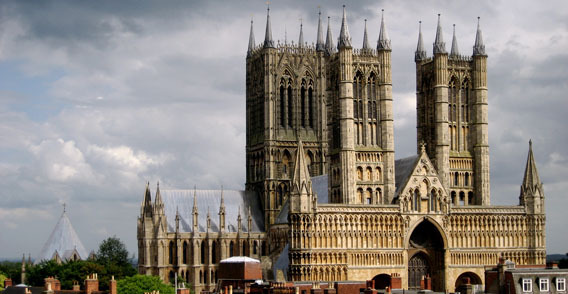 Non-students: Club membership is �per annum or part thereof (Sep-Aug). As a member, you benefit from reduced training fees and greater discounts on equipment. Training is �20 per training session members/�50 non-members - first training session is a free trial. There is a � per annum licence fee to the Japan Karate Association, which provides member to member training insurance and allows you to grade for your belts. 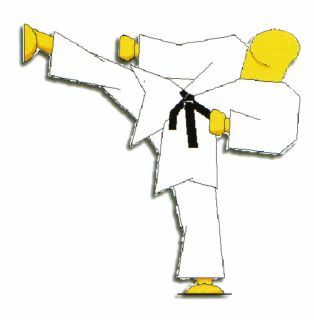 All: Gradings (3 per year) are approximately � each, including the cost of a belt (assuming you pass!). 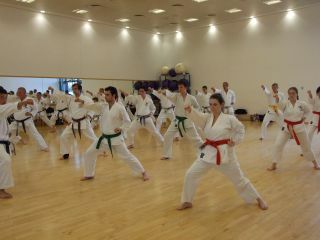 All in all, Shotokan Karate training is great value for money!